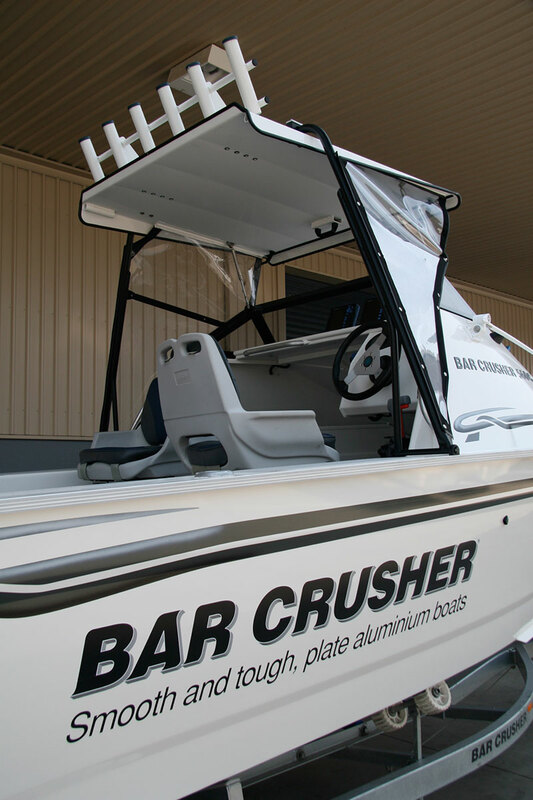 Available on Bar Crusher’s cuddy cabin series, the gas-strut roof / foldable windscreen is yet another design innovation that contributes to the overwhelming popularity of these Australian-built sportsfishing boats. The gas-strut roof (with side clears) provides much needed protection from the elements while on the water, yet when folded it reduces the on-trailer height by a metre for easy storage under carports and in garages. Bar Crusher’s Peter Cleland said taking a minute to fold down the roof before towing also created a much lower profile rig, which in turn provided greater fuel economy on the road. “Everyone’s conscious of fuel prices and consumption these days and for us it extends far beyond which engines are bolted to the transom,” Peter said. “Towing a large boat long distances can significantly increase a vehicle’s fuel consumption which really eats into the holiday budget. 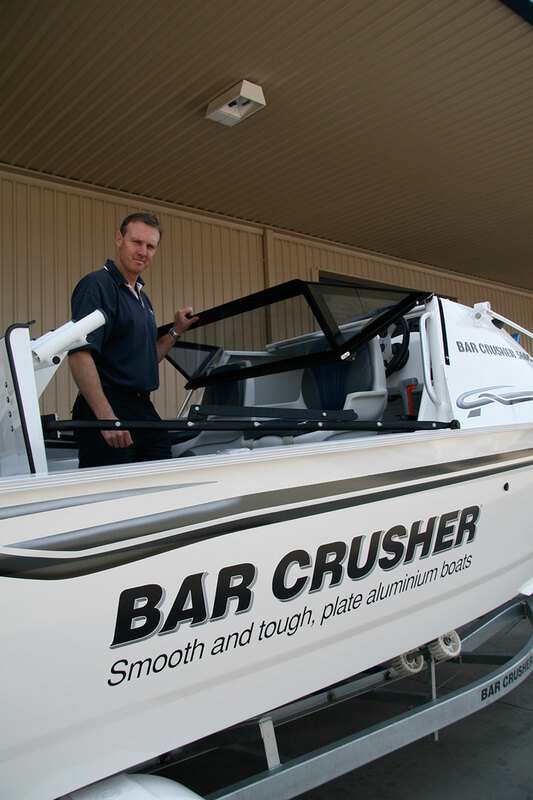 More durable than the old-style vinyl or canvas tops, which can perish in the sun and blow away on the freeway, Bar Crusher’s gas-strut aluminium roof features a sturdy rocket-launcher for rod storage as well a functional lip / grab rail for crew to hold onto while charging out to the fishing grounds. There’s also ample fitting room for other accessories, such as a fluoro light, if required.